Florida is pretty dead for produce shipments this time of year, but a faint “pulse” will be found with new season citrus. Nogales is another dead spot, but here’s a preview of when it is expected to come to life. Finally, Mexican avocado loads through South Texas are coming back, joining a number of other produce items. Florida’s Indian River citrus harvest has just started, making it 10 days to two weeks later than normal due to excessive rains, that were compounded by the arrival of Hurricane Matthew. Matthew dumped up to seven inches of rain on the region, but the brunt of the storm was further north. While Vero Beach sustained 70 mph-80 mph winds, wind speeds hit 50 mph-60 mph in the groves. In Central Florida, harvesting started about a week earlier than Indian River. Florida citrus really dodged a bullet and in the weeks ahead normal shipments are seen. This is one of the slowest times of the year for Mexican produce crossing into Nogales, AZ for distribution to U.S. and Canadian markets. The next big volumes will occur from January through March. A second, but smaller surge typically takes place from mid-April through June. Tomatoes have historically led produce shipments through Nogales from Mexico, but watermelon volume has increased to the point it could over take tomatoes. Other big volume items range from squash to peppers and many other winter vegetables. A significant factor in the growth and popularity of Mexican grown produce is due to many California farming operations investing and marketing produce from south of the border. They see lower production and labor costs with fewer stifling rules and regulations, which continue to come with doing business in California….Kind of sounds like trucking in California, doesn’t it. A projected 40 million pounds of avocados were expected to be shipped to the U.S. for the week ending October 21st. Mexican volume, entering the U.S. primarily through South Texas, had fallen sharply to 13.7 million the week of Oct. 10 – 14. There had been a strike by Mexican workers with the primary issue revolving around sales negotiations between the growers and packers. The dispute apparently has been resolved. 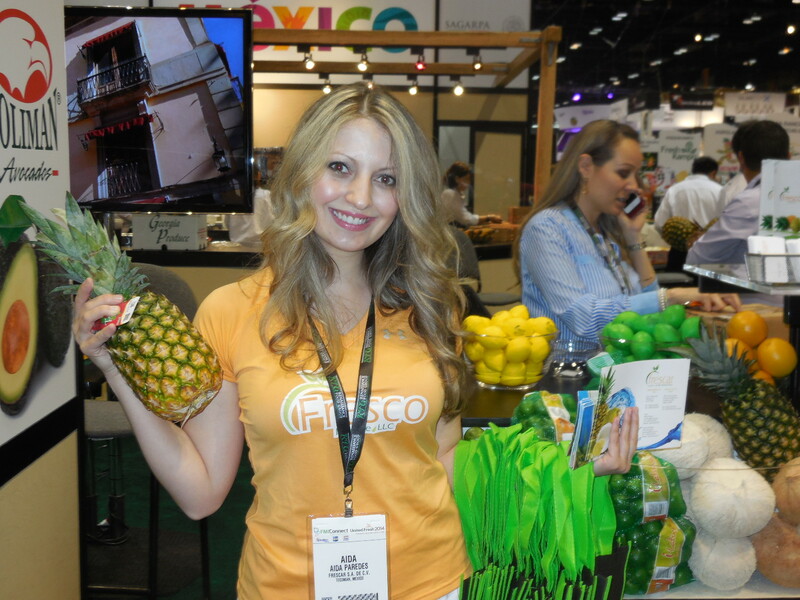 Mexican tropical fruit, tomatoes and vegetable shipments through South Texas – grossing about $2100 to Chicago. Here’s a look at spring produce shipments from across the United States. Northwest Cherry growers released their second crop estimate of the season on Friday 13. In May — 19.8 million 20-pound boxes were forecast, and this should not have been affected by rains which hit Washington nearly a week ago. Washington cherry shipments are still expected to occur ahead of normal schedule. Initial cherry shipments are expected about May 20 – 23 for the earliest varieties. Approximately 600,000 boxes of cherries are expected to be shipped by the end of May. In total, shipments are forecast to be in the 18.5 to 20.5 million box range, a slight increase from a year ago. The eastern U.S. is currently providing the vast majority of blueberry shipments, with loadings taking place out of northern Florida, southern Georgia and North Carolina. Florida “blues” should quickly wind down next week….In Georgia, expected a shipping gap of just a few days as the season shifts from the highbush to the Rabbit Eye variety. Fair to good volume is continuing from Eastern North Carolina. Mexican blueberry shipments are light and erratic. Georgia blueberries, sweet onions, and mixed vegetables – grossing about $2400 to New York City. Melon loadings led by cantaloupe and honeydew are coming out the desert regions of California and Arizona. California produce shipments are coming out of the Imperial Valley and the nearby Palo Verde Valley. Just to the east, Arizona loadings are taking place from the Yuma area, as well as in the central part of the state closer to Phoenix. Imported Mexican produce, led by watermelons and table grapes are crossing the border at Nogales, AZ. Most other imported Mexican produce commodities that crossed here are not available now. 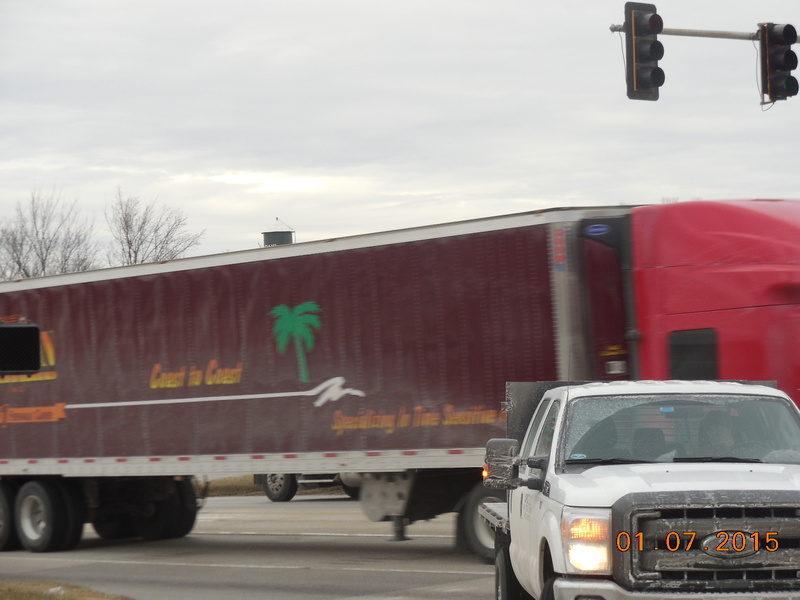 Watermelon crossing are averaging about 2700 truck loads per week. Table grape volume is around 750 truck loads weekly. Mexican produce through Nogales – grossing about $3400 to Chicago. 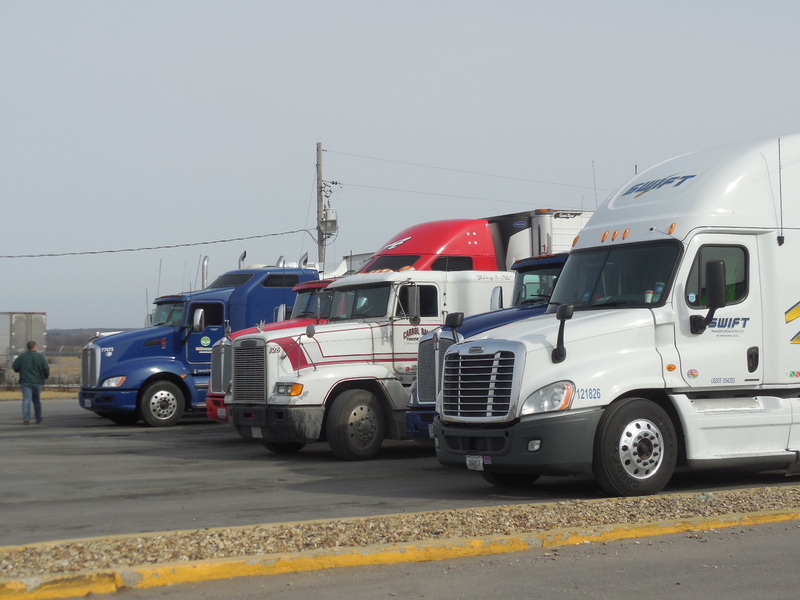 Although we are entering the latter months of the 2015-16 shipping season, there are still over 1600 truck load equivalents be shipped each week. Idaho potato shipments – grossing about $5100 to New York City. We’re in the lightest time of the year for domestic produce shipments, so here’s a look at the Western USA where the heaviest volume loadings are taking place. While there is no record volume this season, it is still a good sized crop that is averaging around 3000 truck load equivalents weekly from the Yakima and Wenatchee valleys. There’s also pears available in much lighter volume. Washington apples – grossing about $6100 to New York City. Head lettuce and romaine easily lead the lettuce family in volume with the two items averaging about 1875 trucks per week from the Yuma district. There’s also lettuce, in much in lighter volume, coming out of California’s nearby Imperial Valley. Other veggies also are available to help fill out loads. Desert vegetables – grossing about $4700 to Atlanta. Dozens of different Mexican vegetables are crossing the border here, although it sure seems volume is lighter than usual, in what is normally the peak season for volume. Tomatoes (vine ripe, cherry and grape) lead the pack with about 1500 truckloads per week. Bell peppers are shipping about one-half this amount in volume. Spuds are available for the nation’s leading shipper. About 1750 truckload equivalents are shipping each week, with rail handling a much higher percentage than with produce items from most other shipping areas. Idaho potatoes – grossing about $3000 to Chicago. It seems all onion shipping areas from around the country have lighter volume this season. Heaviest volume is coming from Western Idaho and Malhuer County, Oregon, averaging about 750 truck loads per week. As the Midwest and Northeast endured one blizzard after another in late January and early February, it was 90 degrees in the vegetable fields of Culiacan, Mexico. As a result, shipments may not been as brisk as normal, but shipments still are heavy. Eggplant loadings should increase leading up to Ash Wednesday (February 18), as retailers double their eggplant orders for Catholics to find a meaty item to replace meat in their diets, particularly in markets such as Chicago, Philadelphia and Boston, which use a lot of eggplant during Lent. Besides eggplant, this is a peak shipping period for Mexican items ranging from bell peppers to broccoli, cucumbers, green beans, watermelons, tomatoes and squash. Concerning spring Mexican grape shipments, it is still early, but initial reports note excellent weather and growing conditions. Initial harvest is expected around May 1st, with crossings at Nogales starting soon afterwards. Here’s a list of some of the Nogales produce shippers: Bay Area Produce, Big Chuy Distributors, Calavo, Crown Jewels Produce, Delta Fresh Produce, Fresh Farms, Franks Distributing, Lisa Inc., Pacific Tomato Growers, P.D.G. Produce, Tepeyac Produce and Weis-Buy Farms. Mexican vegetables crossing the border at Nogales – grossing about $1300 to L.A.; $3200 to Chicago; and $5400 to New York City. Mexico produce shipments are crossing the U.S. border at Nogales, AZ in good volume – at least with several items. The heaviest amount of product is with cucumbers, bell peppers, squash and tomatoes. Cucumbers are averaging around 675 truck loads per week. However, keep in mind most of these items are shipped as mixers, instead of straight loads of product. In fact, a lot of trucks arrive at Nogales to fill out a load, after multiple picks up California and other parts of Arizona. Tomatoes are biggest volume right now, averaging nearly 1,000 truck loads per week. The biggest tonnage is with vine ripes and plum tomatoes, with much lesser amounts of grape and cherry tomatoes. There also are decent crossings of Mexican bell peppers (600 truck loads weekly) and nearly as much volume with squash. Much lighter crossings exist with Mexican watermelons, beans, eggplant and other types of peppers than bell peppers. With the completion of the Mariposa Land Port of Entry at Nogales last year, arrivals of Mexican vegetables has been more predictable. Because of the finish of the eight-year-long construction project, fewer delays are being experienced by produce haulers picking up product one of the dozens of warehouses in Nogales. The upgraded port of entry was designed to increase traffic flow at the border because of better facilities, new Customs and Border Protection and inspection procedures. The port now is able to inspect about 4000 trucks per day through eight primary commercial booths and 56 secondary commercial inspection bays. Nogales produce shipments – grossing about $1300 to L.A.; $5600 to New York City. Nogales produce shipments have been light and inconsistent for the past couple of months, which is pretty typical this time of year. However, volume should show significant increases once we are past Christmas and heading into the New Year. Everything from Mexican grown peppers to cucumbers, squash, eggpland, beans, tomatoes and melons should be crossing the border into Arizona in good volume. A lot of people are keeping a close eye on the volume coming through Nogales to see if the port is losing business to the port of entry in McAllen, Tx, which is now receiving vegetables from West Mexico, with the completion of the 143-mile Autopista Durango-Mazatlan highway. West Mexican vegetables have historically moved through Nogales to destinations across the United States and Canada. With the new highway opening, it cuts a days travel time off of loads destined to points east of the Rocky Mountains. While some Nogales distributors see the area losing business to Mexico, most say this is not the case. Between September 2013 and April 2014 movement across the Arizona border had increased 17 percent. Another advantage some are citing with Nogles over McAllen is the Arizona distribution facilities are fairly close together, while more spread out in Texas. This is a disadvantage for truckers picking up product at multiple distribution centers in McAllen. Finally, some products in central Mexican – especially toprical fruits and avocados – that used to go through McAllen, are now being hauled westbound over the new Mexican highway and crossing the border at Nogales, for destinations in the Western half of the United States and Canada. 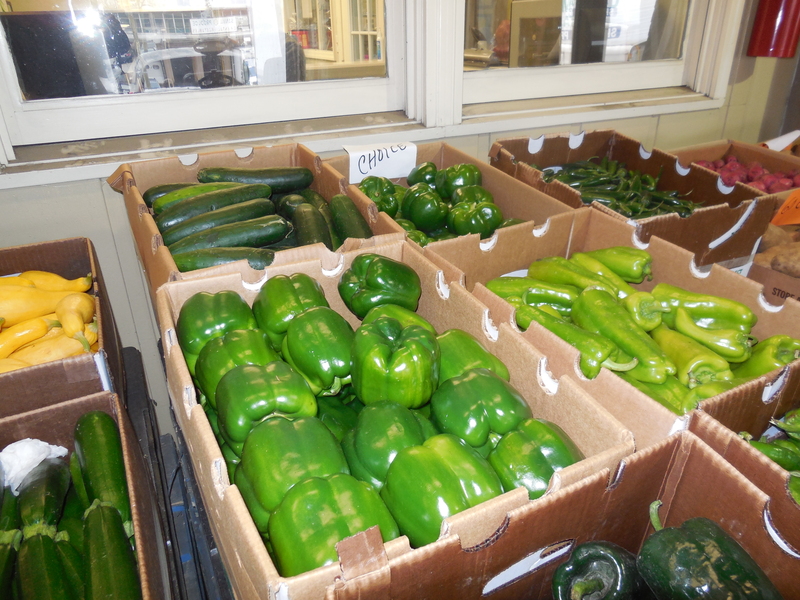 Mexican produce crossing at Nogales – grossing about $4100 to Chicago. Here’s a shipping round up for deliveries in time for Thanksgiving, ranging from various shipping areas handling everything from strawberries to sweet potatoes, melons and veggies. California is shipping about 2 million trays of strawberries per week, primarily out of Ventura County. However, this is expected to decline over the next few weeks. Early October hot weather and cooler weather in November are two factors blamed for reducing California strawberry shipments. However, by December, Southern California, Florida and Mexico will be ramping up for holiday shipments including Christmas and New Year’s. Mexican strawberry shipments are now moving into good volume. Florida berries should hit decent volume by the week of November 24th and hit heavy loadings by mid December. 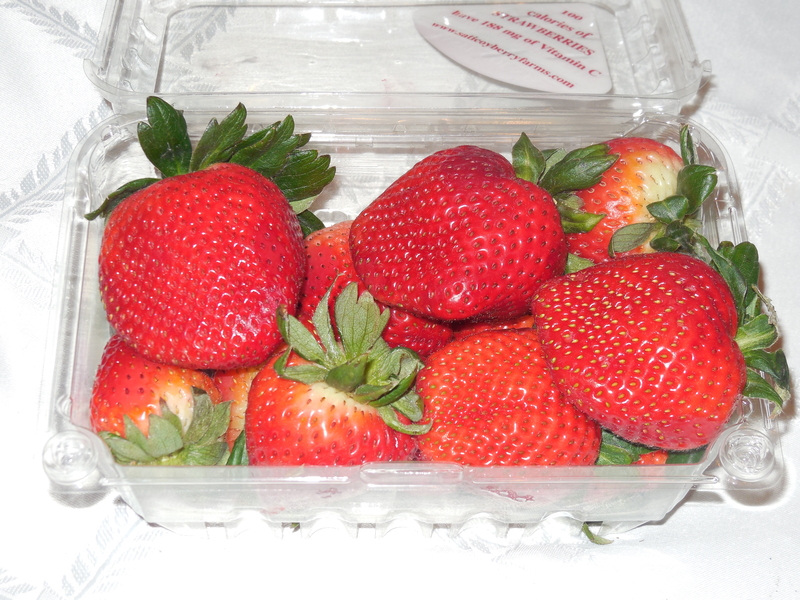 Oxnard, CA strawberry shipments – grossing about $7000 to Boston. Four states ship the vast majority of the nation’s sweet potatoes. However, North Carolina is shipping as many as Mississippi, Louisiana and California (Atwood/Livingston district) combined. However, volume from all of these states are increasing as we approach Thanksgiving. 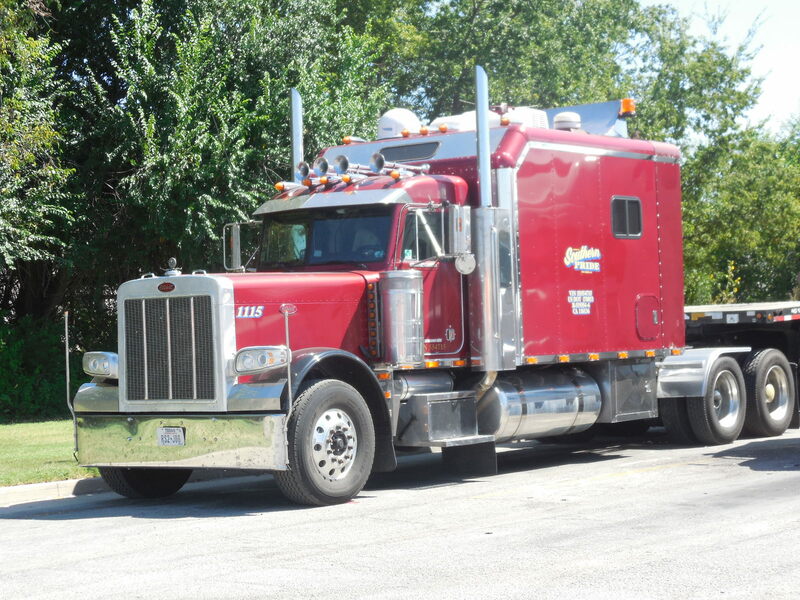 North Carolina is averaging around 250 truck loads per week. Eastern North Carolina sweet potatoes – grossing about $3000 to Chicago. While Nogales, AZ will not hit peak produce shipments with product from Mexico until the end of the year, or January, decent supplies are currently available on some items. Watermelons are averaging about 625 truck loads weekly, with honeydew being about one-half this volume. A number vegetables ranging from various types of peppers to zuchnni and butternut squash are available in light volume, but seasonally increasing. Unfortunately, there are too many mixed loads this time of year, due to limited volume. 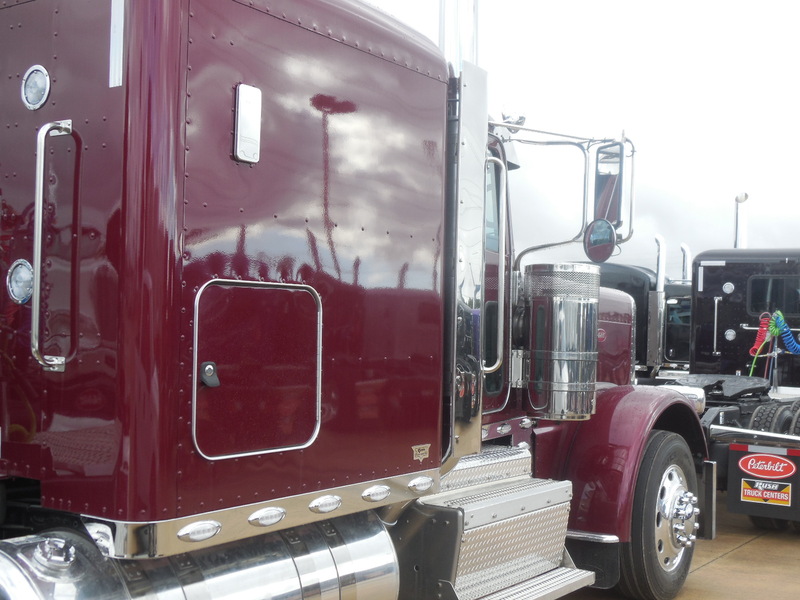 It’s not uncommon for produce haulers to start out in Central or Southern California and making several pick ups before filling out the truck in Nogales. Mexican melons and vegetables through Nogales – grossing about $6000 to New York City. An expansion project at the Mariposa Port, where Mexican grown produce enters Nogales, AZ is expected to be completed by August, but is already drawing praise from those who use it. Nogales produce shipments of Mexican product are huge. Construction began three years ago and has been done in phases to avoid disrupting traffic at the heavily used port of entry. Up to 75 percent of Mexico’s imported produce goes through the Mariposa Port and Nogales during the winter months, including about 1,400 trucks per day. The final phase of the construction project is cold storage facilities adjacent to the truck docks. These docks also have been expanded where product can be unloaded for inspection, and placed in the cold storages, if necessary. Produce ranks third in value of products crossing the border at Mariposa, behind vehicles/vechicle parts, electronics/machinery. With the expansion the port has grown from 43 to 57 acres. The facility now has eight lanes for inbound commercial trucks from Mexico, up from four lanes. 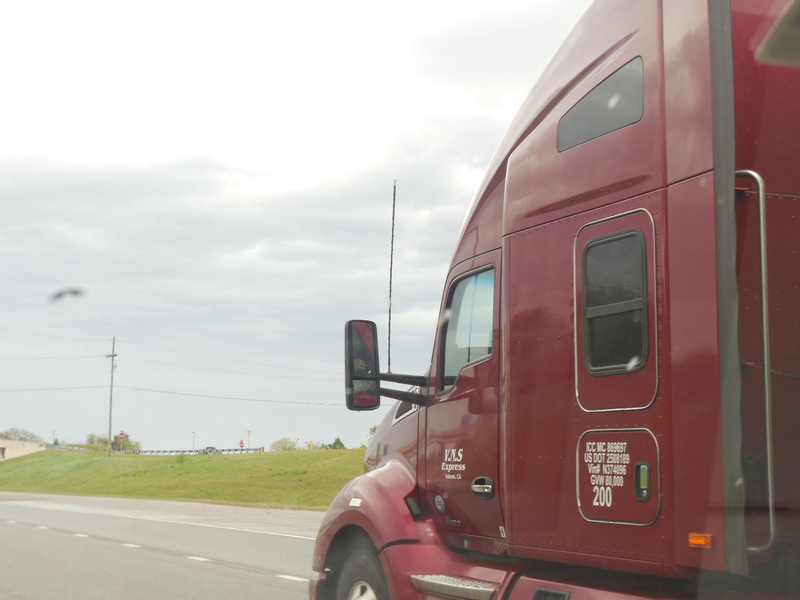 Exit lanes for northbound trucks has been increased from two to five exits. The improvements have been made to decrease wait times at the border and to speed deliveries. After the trucks clear inspections, two percent of the total volume is randomly selected for agricultural inspections. While California vegetables and citrus have been struggling this season to get going, California strawberry shipments got off to an early and fast start it looks to continue strong throughout the season. Unlike much of the nation, credit unusually warm weather during the winter on the West Cost, which hastened plant maturity. We’ll also take a glimpse at Mexican imports through Nogales, AZ. For the week ending March 1, the California Strawberry Commission reported 11.16 million 9-pound tray equivalents had been shipped fresh so far this year compared to 6.89 million at the same time last year and 9 million in 2012. California produces almost 90 percent of U.S. strawberries. The state’s 400 strawberry farms grow fruit on fewer than 40,000 acres. This year, California avocado shipments should be at its peak from mid- to late April and continue through Labor Day. Volume should be about 300 million pounds. The 300 million pounds is more on par with the 10-year average. Loadings originate from various shippers in Southern California. Southern California produce shipments – grossing about $6600 to New York City. While Mexican vegetable shipments through Nogales, AZ are on a seasonal down swing, an exception are watermelons being imported from West Mexico. The spring season has started three weeks earlier than last year. The early time frame is attributed to earlier transplanting, improved growing practices and ideal weather conditions. Watermelon shipments from West Mexico should continue in good volume through June. Arrivals of Mexican grapes will start crossing the border within the next month. Mexican produce through Nogales – grossing about $3800 to Chicago.